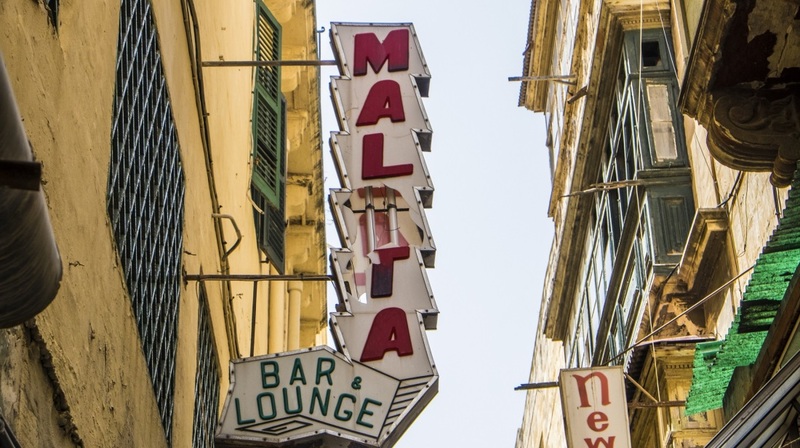 The Malta Environment and Planning Authority (MEPA) has published the approved planning policy for Strait Street and the Old Civil Abbatoir (il-Biċċerija) in Valletta. The new policy, seeks to encourage and facilitate the rehabilitation and revitalisation of these two areas, in line with Government’s vision for Valletta 2018 -European Capital of Culture. The policy, which now supercedes older policies earmarked for the area in the 2002 Grand Harbour Local Plan, provides the required platform for the transformation of these areas into a creativity and multi-cultural hub both through new activities and physical interventions. The policy specifies how a diverse range of uses and activities connected to, or in support of, the promotion, teaching and practice of culture and local crafts shall be encouraged for properties with frontages on Strait Street and on the site of the Old Civil Abattoir, situated behind Auberge de Bavière. Although today Strait Street is synonymous with degraded buildings, this very narrow street which runs along the longer side of the grid of Valletta, has a good number of finely-built and elegant buildings, previously residences of Knights of the Order and of Maltese notables. The policy divides the hub area into two: the core and the periphery area. The core area between Santa Lucia Street and St Christopher Street will accomodate high intensity uses and related street activities, especially those with late night operating times such as bars and music venues, whereas, teaching studios, independent retail and exhibition spaces and tourism accommodation shall be directed to the upper floors (at second floor and above) of the core or towards the periphery of the hub. Artists’ studio flats and offices will also be favourably considered on the periphery. The Authority may also favourably consider the range of high instensity uses allowed in the core of Strait Street to extend to the area between St Christopher Street and St Dominic Street in the circumstances where a single comprehensive proposal covers a significant proportion of the properties with a frontage on Strait Street. The Authority will expect that the applicant will have full control over the same properties to enable the straightforward implementation of a comprehensive scheme. The policy also indicates that the expansion of established businesses within the hub, irrespective of their nature and even if not in full conformity with this framework may still be considered favourably provided the scale of the additions are not deemed to prejudice the overall scope and designation of the hub. Interventions on the physical fabric of the street and its buildings will be permitted so long as they enhance their conservation value. Specific attention will be given to the restoration and integration in the design schemes of particularly important signs or mural inscriptions/ painted adverts which evoke memory links with the history of the street. The policy which is accompanied by an appendix document titled “Design Guidelines for street furniture on Strait Street” promotes the full pedestrianisation of the core of the hub area with the stepped section suitable for the introduction of greenery. The design guidance appendix seeks to encourage high quality outdoor seating and standing areas for restaurants and cafès to enhance the safety, amenity and ambience of Strait Street, while also ensure the safe and reasonable movement of pedestrians and vehicular traffic. The same policy framework is also applicable to the Old Abattoir, one of Valletta’s earliest buildings. The socio-economic mix that exists within the area makes the building ideal for a ‘hub’ of activity bridging commercial, industrial and residential uses. The building is also earmarked to become the Valletta Design Cluster. The new policy document, a map and the public submissions received during the eight weeks public consultation phase may be viewed from the Authority’s website: http://goo.gl/rk7ZF5.